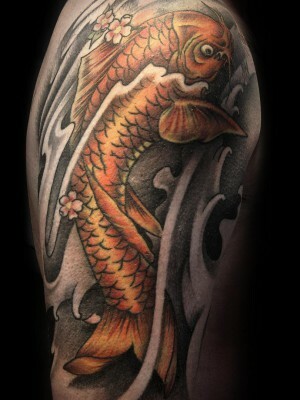 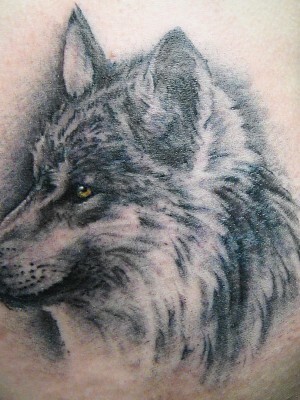 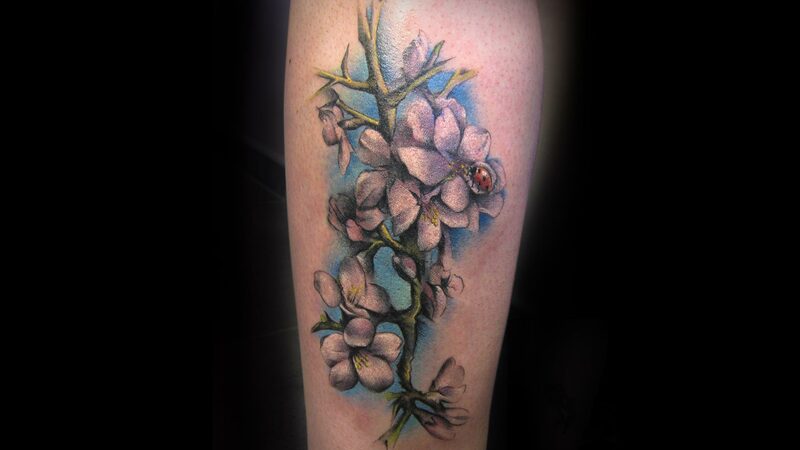 Tattoo on the side of the leg of a girl. 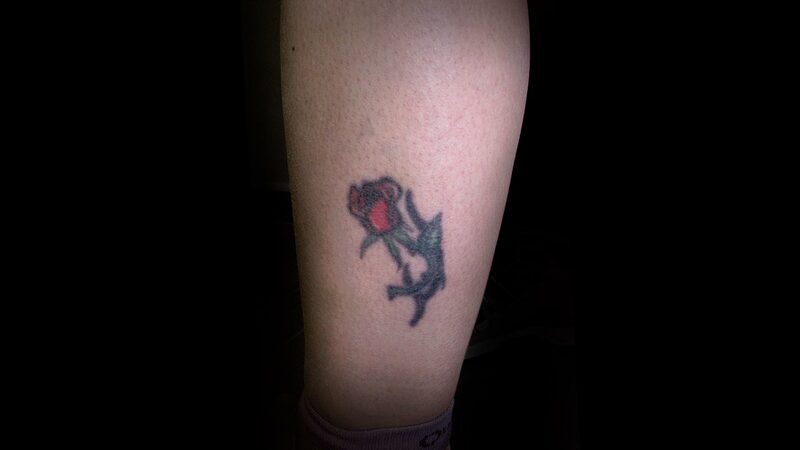 Originally she has a rose on it. 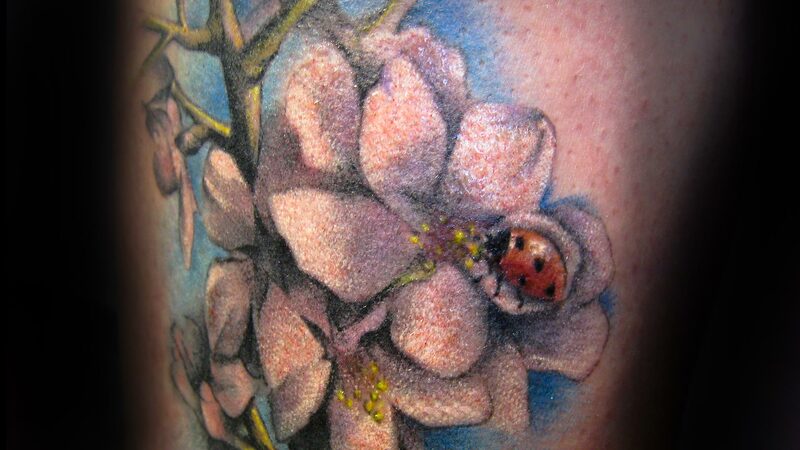 She wanted a very pictorial design with almond flowers and a ladybug.